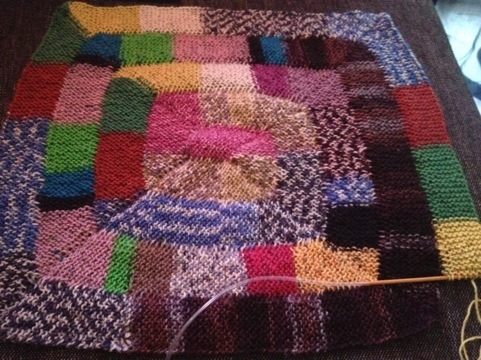 I am knitting a blanket out of sock yarn. I’ve made a slight modification in that I’m joining the working 10 to the completed section using a knit 2 together (rather than ssk). 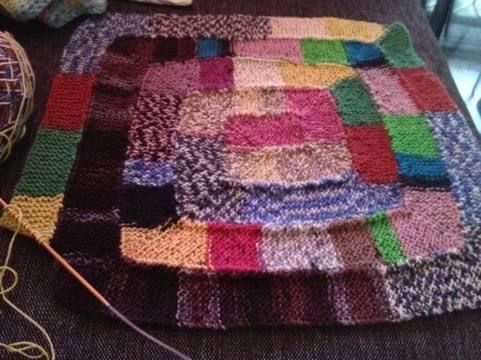 I’m also changing yarns really frequently. 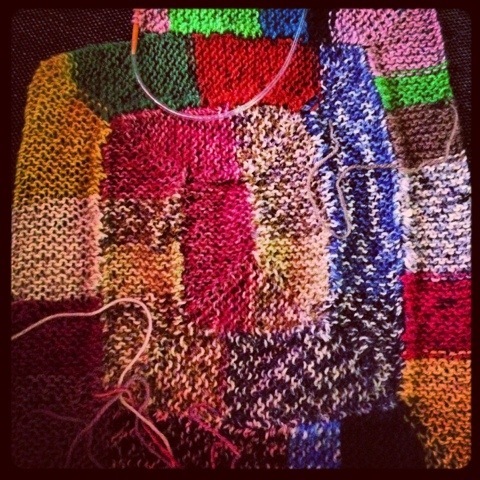 It’s all these sock ends that I don’t know what to do with, so I’m making them into a blanket. 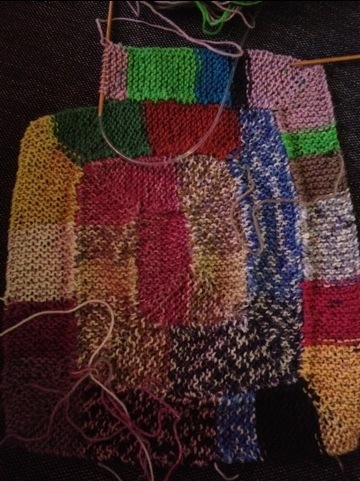 It may take me a while on 3mm needles. That looks awesome, I love it. where can I find your instructions on this? I have some (not) sock yarn scrappies and would love to try this.